Cracks, uneven areas and pooling water are just some of the signs your concrete porch needs repairs. Even the best-built porches covered with a sturdy overhang are going to need repairs at some point in time. Taking care of concrete porch repairs as they arise will help prevent a lot of costly issues in the future. 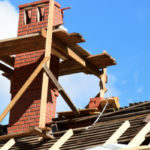 But first, you need to know what signs to look out for that indicate the need for repairs. Water is a huge contributor to concrete damages, that’s why it’s so important to install quality drainage systems that keep water moving away from your porch. The base of concrete is often wood, hence why water can cause a lot of issues. In most cases, concrete porch repairs relate to water in some way or other. For instance, cracks in your porch need to be repaired so that water doesn’t have a chance to seep inside. And, water pooling on surfaces may indicate drainage issues that need to be addressed. 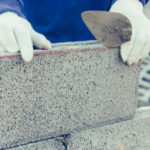 Read on to learn more about the signs your concrete porch needs repairs, be it related to water damage or not. 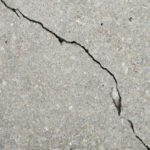 All concrete cracks at some point, but what makes a crack in your concrete porch worth worrying about? If the crack is long, wide, or continuously growing, it’s important to fill it in as soon as possible. Crack location and pattern can play an important role in identifying how severe it is as well. 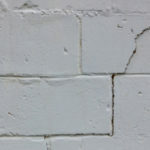 Fixing concrete cracks is a relatively simple process that involves chiseling the crack clean and using a special “keying” technique so the inside of the crack is slightly wider than the surface. This allows better adhesion of filler material. Once the crack is cleaned out, the area should be brushed and vacuumed, leaving behind no debris. A concrete patch is then applied to fill the crack. This indicates your concrete porch is not draining the way it should. When water starts to pool on surfaces, you can be sure the damaging impacts are right around the corner. Act quick to prevent bigger problems caused by water damage. You may need to fix drainage issues and/or reapply waterproof sealant, as sealants wear away over time. 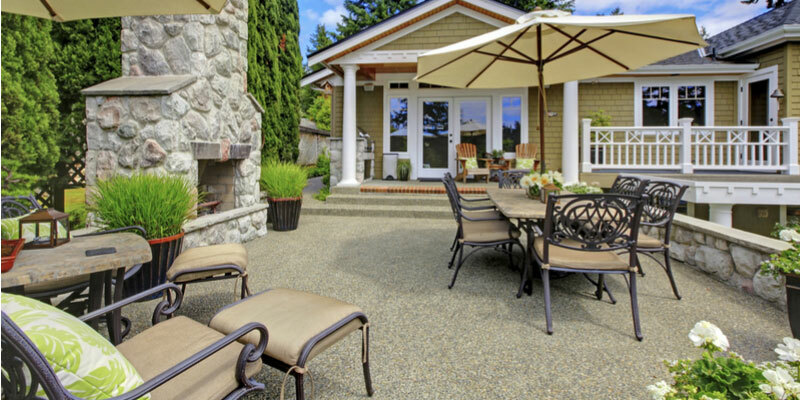 If concrete is changing colors or dotted in blemishes, you can apply a concrete stain to improve its overall appearance without breaking the bank. Does the floor of your porch appear uneven or not as smooth as it once was? Do you notice chairs sitting funny, or can you visually see little dips in the surface? Poor construction and a faulty foundation are often to blame for uneven surfaces, especially if your porch isn’t that old. It’s important to act fast before damage has a chance to worsen. The entire porch might be instable, presenting a serious safety hazard as-is. Eventually, everything starts to show its age and that includes your concrete porch. You know old concrete when you see it; it looks tired, faded, and beat up. Concrete may also be darkened, stained or covered in red rust lines. Concrete may still be eligible for repairs instead of replacement but only a professional can determine that. Call Turnbull Masonry today! We’d love to inspect your concrete porch in Toronto to help you decide on the best plan of action to restore its original appeal.